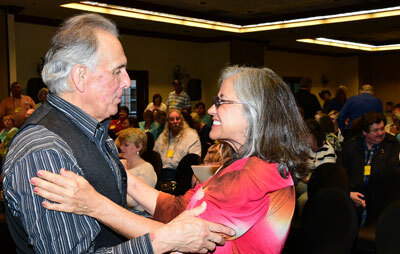 Photos from “A Gathering of Guns 7—A TV Western Reunion” at the Memphis Film Festival, co-sponsored by WESTERN CLIPPINGS, June 11-June 13, 2015, at Sam’s Town Hotel and Casino in Tunica, Mississippi. Pert, perky and pretty Terrie Davis, daughter of Gail Davis, TV’s “Annie Oakley”, loves her mom and is always ready to have her remembered. 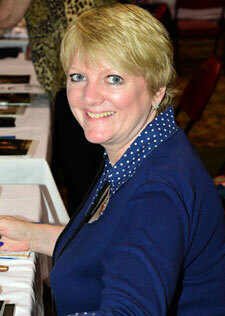 Terrie plans to turn her mother’s life story into a book length biography. 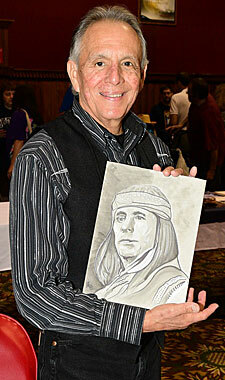 Rudy Ramos displays a fan’s artwork of Rudy as Geronimo. 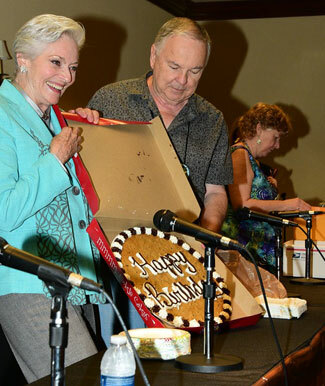 Lee Meriwether, assisted by Boyd Magers accepts a huge Happy Birthday cookie from Trivia Contest winner Don Ellis. 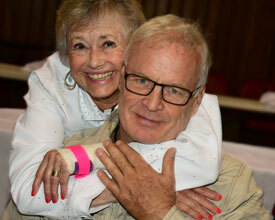 Gracious Lee Meriwether poses with a fan. 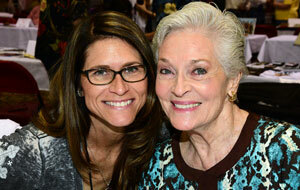 Lee Meriwether and her stuntgirl daughter Lesley Aletter. 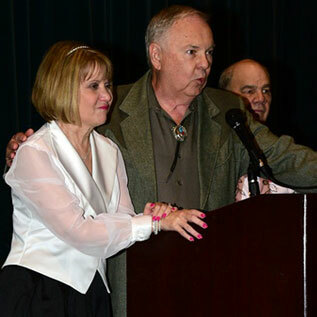 Panel discussion with Charlotte Stewart and Alison Arngrim of “Little House on the Prairie” with banquet entertainers Rex Allen Jr. and Les Gilliam. 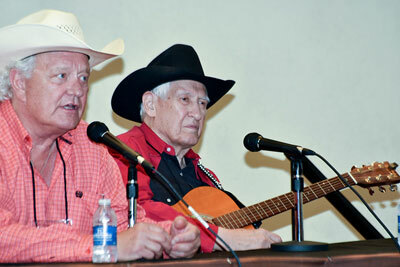 Banquet entertainers Rex Allen Jr.and Les Gilliam. 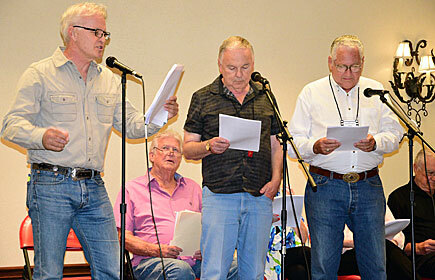 This year’s radio show recreation was an episode of “Six-Shooter”. 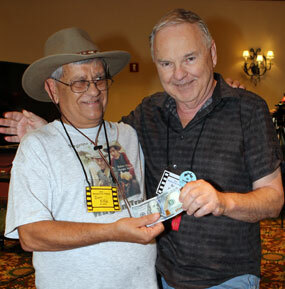 Jeff Osterhage recreated the role of Jimmy Stewart. Others in the cast shown here were Don Collier (seated), Boyd Magers, John Buttram, Robert Colbert. 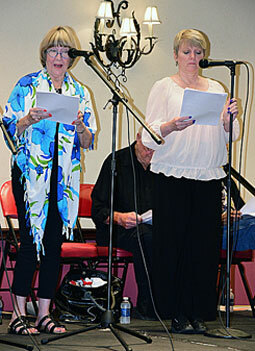 Also excellent in radio show cast were Charlotte Stewart and Alison Arngrim. 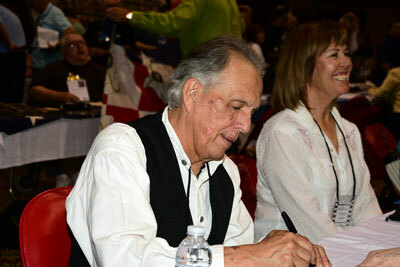 Rudy Ramos and wife Kathy. “Little House on the Prairie”. off to a good time. 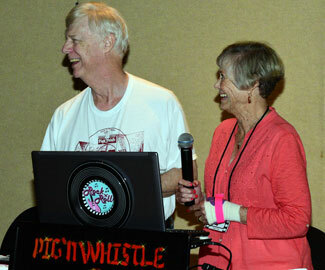 The '50s Dance Party is hosted by Sirius XM radio DJ Alex Ward seen here with Roberta Shore, Betsy on “The Virginian”. 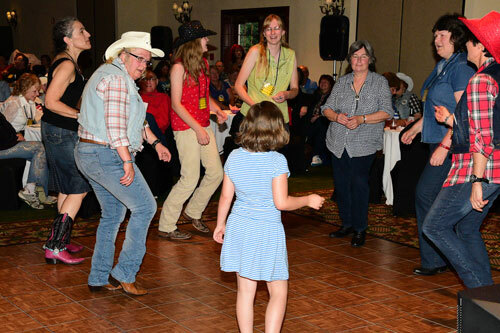 Enjoying the Dance Party are Sharon Seelye, Linda Crowley (the festival’s Facebook coordinator), Jan Kincaid, Ann Snuggs and Frances Taylor. Boyd Magers is always happy to extol the behind the scenes work the ever cute and helpful Bonnie Boyd provides for the festival. 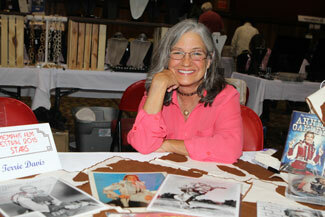 No one has any idea the time and effort Bonnie puts into making the Memphis Film Festival a success. Obviously Bob Fuller appreciates Bonnie’s hard work as well as her legs. 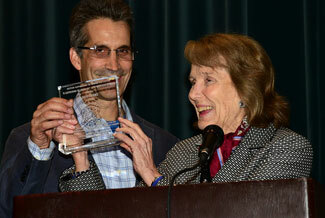 Julie Adams accepts her festival award along with son Mitch Danton. 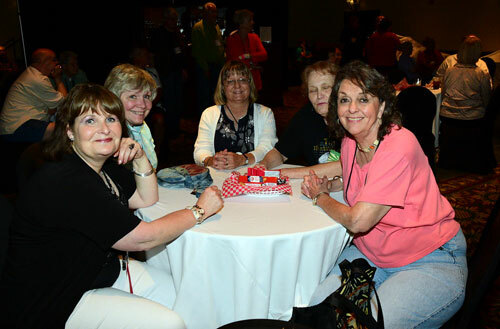 A concert by Rex Allen Jr. provided a sterling wind up to another very successful "Gathering of Guns" (#7) at the Memphis Film Festival. 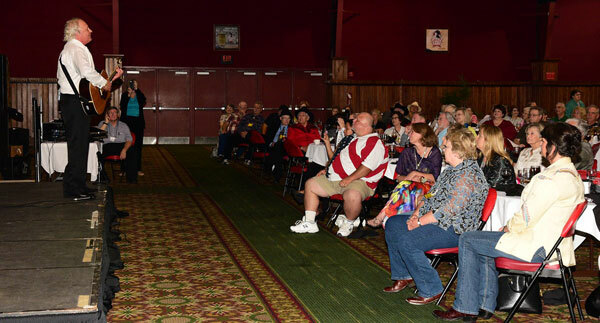 Les Gilliam, seated in the front row with the red shirt, superbly kicked off the banquet entertainment.